Use only the rose species listed here for medicinal purposes and not garden hybrids. Because of the high price of rose oil, adulteration is common. Therefore, for medicinal purposes, use only the best high quality, genuine rose oil. Consumers should be aware of the fact that much of the natural vitamin C in some rosehip products is lost in the manufacturing process. To compensate, some fortify the products with artificial vitamin C.
Rose species are native to various places, but most are from the Middle East. They have been cultivated for thousands of years, but some can still be found in the wild although most are cultivated for commercial or private use. Typically, roses are climbing or bushy perennials with thorny stems and varying shapes and colours of flowers. All have a unique rose scent. The wild roses typically grow everywhere on the prairies of North America in ravines and stream banks, bluffs, thickets, and along roadsides and railroads. In the 1st century CE, Pliny the Elder recorded thirty-two different medicinal uses of the rose. Roses were grown in medieval gardens more for medicine and food than for beauty. Ironically, the Cherokee rose is native to China, but now grows throughout much of North America and is the state flower of Georgia. It was used in China to treat diarrhea. In the 19th century, it was proven that roses contain essential oils. Rose oil is distilled from the petals and used in aromatherapy. With the discovery of vitamin C in the 1930s, and subsequent claims by Linus Pauling that massive doses of the nutrient could cure the common cold, rosehips have been of much interest because of their high content of this nutrient. Unlike Western medicine, all indigenous cultures believe that there is no separation between the physical and the mental or spiritual being, and both must be assessed before healing occurs. 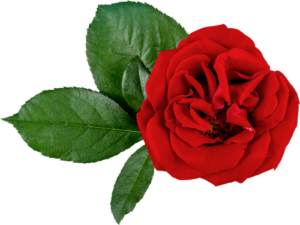 The same belief has long been held true regarding the rose and is seen in this saying, “Roses are good for the skin and the soul”. 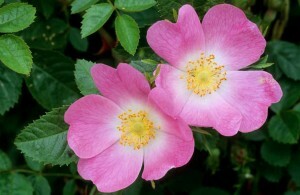 The botanical name of the Wild Rose is reflected in its use by the Romans. R. canina species was used for rabid dog bites. Roses continued as official medicine until well into the 1930s (British Pharmacopoeia) when the tincture of the Apothocary’s Rose was prescribed for sore throats. Roses were also widely used as mild astringents and to flavour other medicines. There were dozens of varieties of roses in North America. The Native Americans learned how to use whatever grew in their region, as a medicine and, in cases of emergency, as a food. The leaves, petals, hips, and roots were widely used for a variety of conditions, including colds, fevers, diarrhea, influenza, and stomach troubles. The Omahas steeped the hips or roots to make a wash to treat eye inflammations. In the Great Lakes region, the Chippewas made a tea from the wild rose and used the berries for food and for diseases of the eye. They used the inner bark of the roots to treat cataracts. The Pawnees collected the insect galls from the lower parts of the stems, and charred and crushed them for use in dressings for burns. The insect or disease-produced galls were found in the archaeological remains of the Hill Site, near present-day Guide Rock, Nebraska, which was occupied by the Pawnees in the early 1800s. The Flathead and Cheyenne tribes treated snow blindness with an eyewash made by boiling the petals, stem bark, or root bark. The Cheyenne also boiled the inner bark to make a tea valued for treating diarrhea and stomach trouble. Many other tribes used all parts of the plant for various remedies. The Crows boiled the crushed roots and used them in hot compresses to reduce swellings. They also sniffed vapor to stop bleedings from the nose or mouth. The Arapahos used the seeds to produce a drawing effect for muscular pain. There are some 300 chemical constituents of which only about 100 have been identified. Depending on the source, some rose teas are able to supply as much as 1000 mg. per cup. Recent studies now indicate that taking more than 2000 mg. of vitamin C per day changes the vitamin into a pro-oxidant that actually increases cellular damage caused by unstable free radicals. Other experts seem to think that this action takes place with as little as 1000 mg. of vitamin C per day. The seeds of the Japanese rose are used in Oriental medicine as a diuretic and laxative. Infusions of dried rose petals are used for headaches and taken after meals to aid digestion. Steam inhalation of a decoction of rose petals, lavender, and hops help induce sleep. Compresses soaked in infusions of the dried flowers make a good anti-inflammatory remedy for the eyes or any other inflamed area of the body and applied cool for headaches. Rosehip tincture is an effective astringent for treating diarrhea or in relieving colic or as a component in cough remedies. Rosehip syrup is used as a cough remedy or taken as a source of vitamin C.
Rosehip decoction is taken with other herbs to treat chronic diarrhea associated with stomach weaknesses. 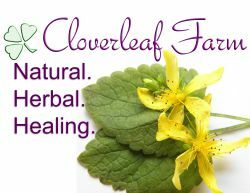 Flower decoctions are taken with motherwort for heavy menstruation or combined with Chinese herbs for liver dysfunctions. Tinctures from the petals are used for diarrhea or sluggish digestion. When combined with other herbs, they areused to treat irregular or heavy menstruation. Gargles made from petal infusions, used alone or combined with sage, are used for sore throats. Creams from the essential oil are used to treat dry or inflamed skin. Lotions from the essential oil are combined with lady’s mantle tincture for vaginal itching. A few drops of essential oil can be added to bathwater for depression, grief, or insomnia. Massage oil is made by mixing a few drops of essential oil with a neutral oil and used to relieve stress and exhaustion or for sluggish digestion. The dried hips of the wild rose are especially high in vitamin C, having three times that of citrus fruits, and have long been used to prevent scurvy. The Chinese use the flowers as a qi or energy stimulant and blood tonic to relieve stagnant liver energies. They are also used for digestive irregularities or with motherwort for heavy menstruation. The Damask rose blooms for only a couple of weeks, during which time the petals are collected and steam distilled to produce true Bulgarian rose oil used in about 96% of all women’s perfumes. Medicinally, it is an important nervine used for depression and anxiety. The cabbage rose is used to produce French rose oil, which differs significantly in its chemical composition from Bulgarian rose oil and has a reputation as an aphrodisiac.